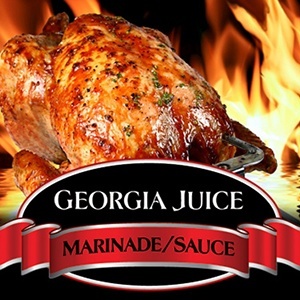 Fire up your tail gate grill with this amazing sauce that has just the right kick to score points with everyone. 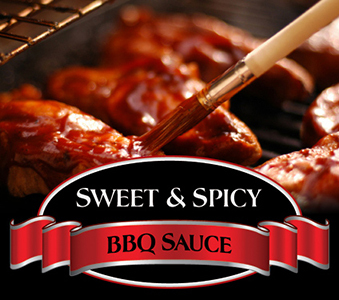 This sweet and spicy barbecue sauce is a classic sauce great for any BBQ. Top a burger or Italian sausage right off the grill. Add a half of a bottle to a brisket in a slow cooker with 1 to 2 cups of water and cook on high for approximately 6-8 hours for amazing Texas barbecue sandwiches. 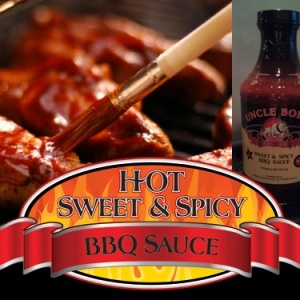 Use as a finishing sauce for chicken, pork chops or ribs, baste the last 5 minutes on the grill. Add a spicy zip to meatloaf or any of your favorite dishes. 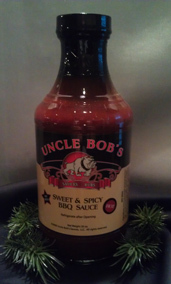 Whatever your heart desires, spice it up with Uncle Bob’s Sweet and Spicy BBQ Sauce. 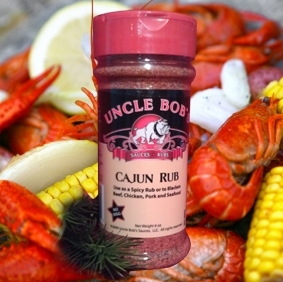 We’re now offering Gallon and Half Gallon sizes for those of you out there who can’t get enough of Uncle Bob’s fabulous sauces and marinades. Just choose the size you want from the drop down menu when you place your order. 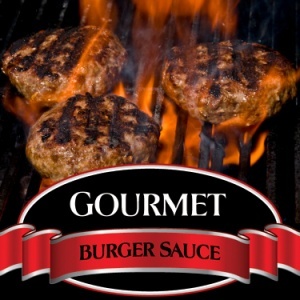 Gourmet Burger Sauce 12 oz. Found this place online last season and finally ventured north of 1097 this morning… Stopped in for breakfast tacos = DELISH! Very nice staff, cute little restaurant and fabulous food. Don’t want the chaos of the south end of the lake and restaurants? Do give this place a try, you won’t be disappointed.